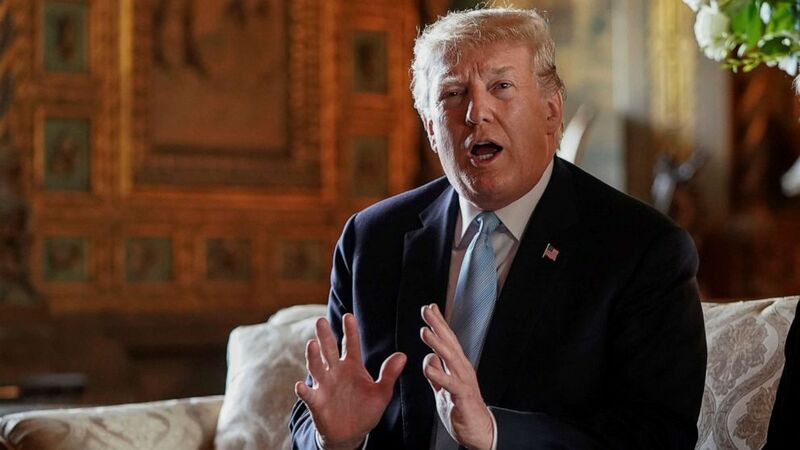 President Donald Trump's re-election campaign announced Monday that it raised more than $30 million in the first quarter of 2019, a total that outpaces all of his Democratic rivals and indicates he will be well-resourced in his bid for a second term in the Oval Office. According to numbers released Monday morning, Trump's campaign took in $30.3 million and has $40.8 million cash on hand, totals that surpass the combined first-quarter hauls of the two most prolific fundraisers on the Democratic side so far: Sen. Bernie Sanders and Sen. Kamala Harris. According to the campaign, 98.79 percent of contributions were less than $200, and the average donation was $34.26. The campaign did not release the number of individual donors to the president's re-election campaign but claimed to "have already enlisted 100,000 new small donors in 2019," and have "acquired more than one million new small donors" since Trump was inaugurated in January 2017. "Our prodigious fundraising is further proof of President Trump's clear record of accomplishment on behalf of the American people," Brad Parscale, campaign manager for President Trump's re-election campaign, wrote in a statement Monday. "The tremendous support he is receiving is a result of 'promises made, promises kept' and the enormous appeal of his determination to Make America Great Again. The President is in a vastly stronger position at this point than any previous incumbent president running for re-election, and only continues to build momentum." Along with the numbers reported by the Trump campaign, the Republican National Committee announced Monday that it raised an additional $45.8 million in the first quarter of 2019, bringing the total pro-Trump fundraising effort to over $76 million, with $82 million cash on hand. Since his unlikely rise and victory in the 2016 Republican presidential primary, Trump has proven to be a consistently productive fundraiser, and the advantages that come with running as an incumbent president will likely aid that prowess as he seeks a second term. The numbers released by the Trump campaign come as a crowded and divided Democratic field of more than 15 candidates are all jockeying for resources in the early stages of the race. Sanders set the high-water fundraising mark for the Democratic field in the first quarter, raising $18.2 million, followed by Harris with $12 million, former Texas Congressman Beto O'Rourke, who raked in $9.4 million, and (unexpectedly) South Bend, Indiana Mayor Pete Buttigieg, who raised over $7 million in the first quarter of 2019. Final fundraising reports for all presidential candidates are due on Monday and will be parsed as one of the first tangible indicators of how broad each candidates base of support is in the campaign's early going. While Democrats are hoping to capitalize on the enthusiasm that led to the re-taking the House in the 2018 midterms, the initial numbers appear to lag behind the last time the party saw a competitive primary: 2008. In the first quarter of 2017, both Hillary Clinton and Barack Obama raised over $25 million, albeit without the same number of candidates in the race in the early stages of the campaign.